Q. What is your principle professional skill? Could you tell us a little about it? A. I served a four year apprenticeship in marine fitting at Hall Russell ship builders in Aberdeen and furthered my career in maintenance. Q. How long have you been practising your skill? How did you learn your skill? How long did it take? 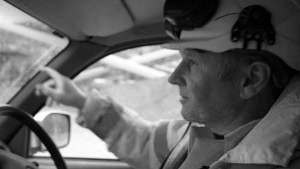 A. I started in the quarry industry 19th July 1993 as maintenance fitter and after twelve years got the chance to manage one of our smaller units in Edzell .This presented a change to more office and computer based skills as well as learning up on the considerable amount of legislation involved in our business. After seven years in this role the opportunity arose to manage Craigenlow, which is another challenge to relish. Q. How has your profession evolved over the last few decades?. A. One of the biggest changes in the last twenty years is the use of computers and computer technology to run the plant as well as the administration of the company. A. One of the most satisfying parts of the job is getting the opportunity to pass on the various different skills I have learnt over the years. That must mean I’m getting old!